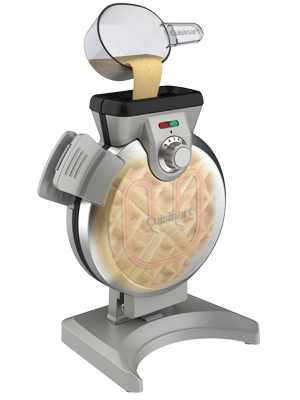 One of a kind design for the perfect waffle everytime. 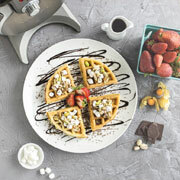 Create your own waffle art! 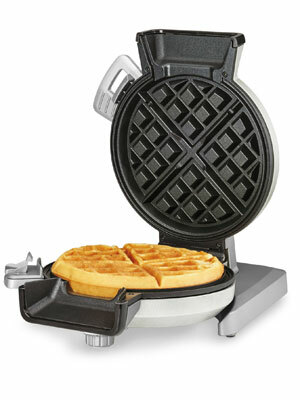 The Vertical Waffle Maker's unique design ensures that batter won't overflow or leak. 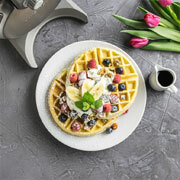 Just add your favourite batter through the spout up to the fill line for consistent waffle thickness, top to bottom and side to side - it won't spill over the edges. A bonus measuring cup is included. 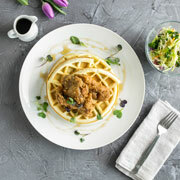 Easily make foolproof perfect Belgian waffles. Just pour the batter and get uniform waffle thickness and colour. Simply choose from 5 browning levels to suit your individual taste - each perfectly timed. 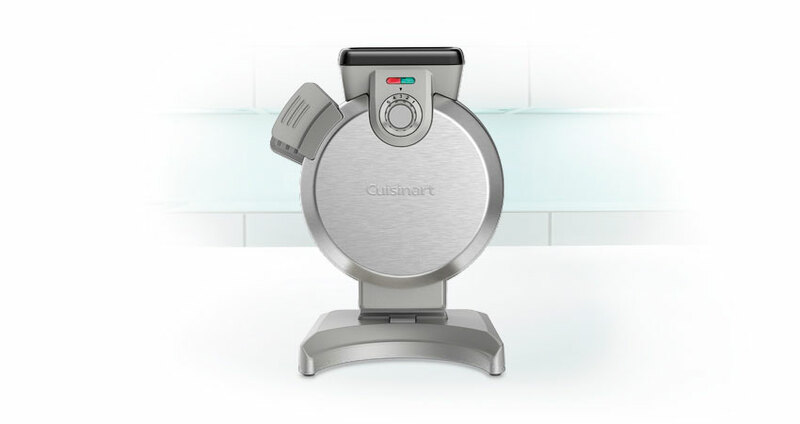 Indicator lights and an audible alert will tell you when your waffle has been made perfectly to your choosing. Save space in your kitchen. The one-of-a kind, ultra compact design saves space on your kitchen countertop and cabinets. 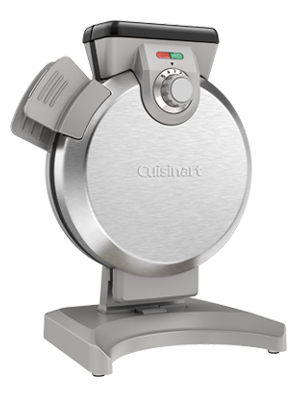 The Vertical Waffle Maker may be compact but it is also powerful, with 800-watts of power it heats up fast and cooks fast too. 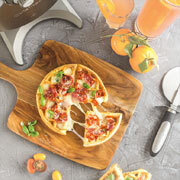 Savoury pizza waffles? Sweet fruit filled creations? Chocolate? Create your own waffle art and explore endless possibilities. An unique addition to any kitchen. fun addition for any kitchen.